This Sample Mold produces twelve identical by size rectangles, which can be used to show case different color schemes and easily sent with customers or put on display. 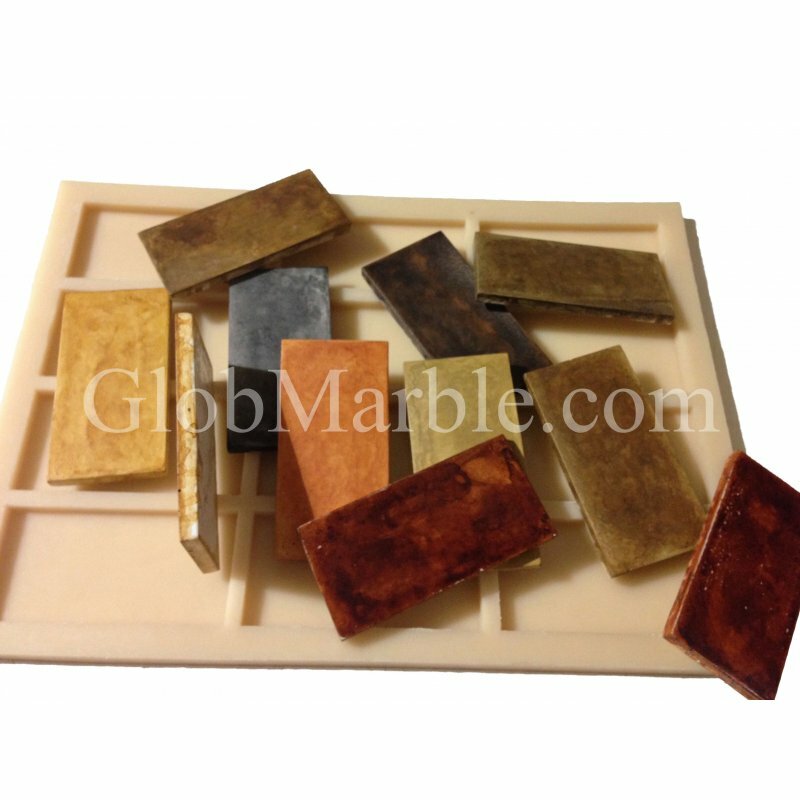 GlobMarble concrete stone molds made from manufactured in USA high quality urethane rubber. Mold measurement: 20” X 14 1/2” X 1” (51cm X 37cm X 2.50). Sections – 12. 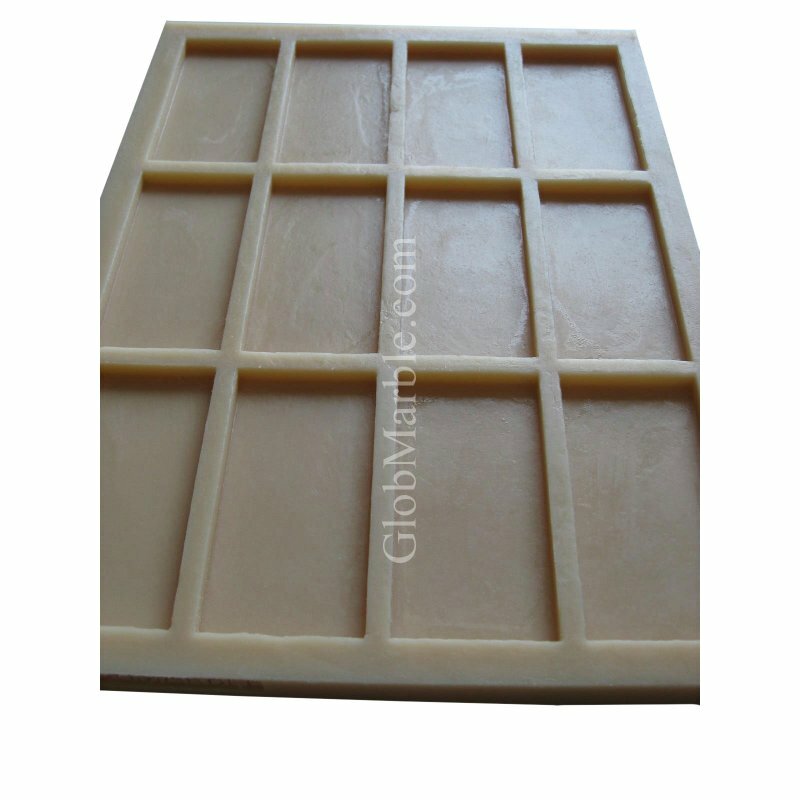 Stepping Stone Mold. 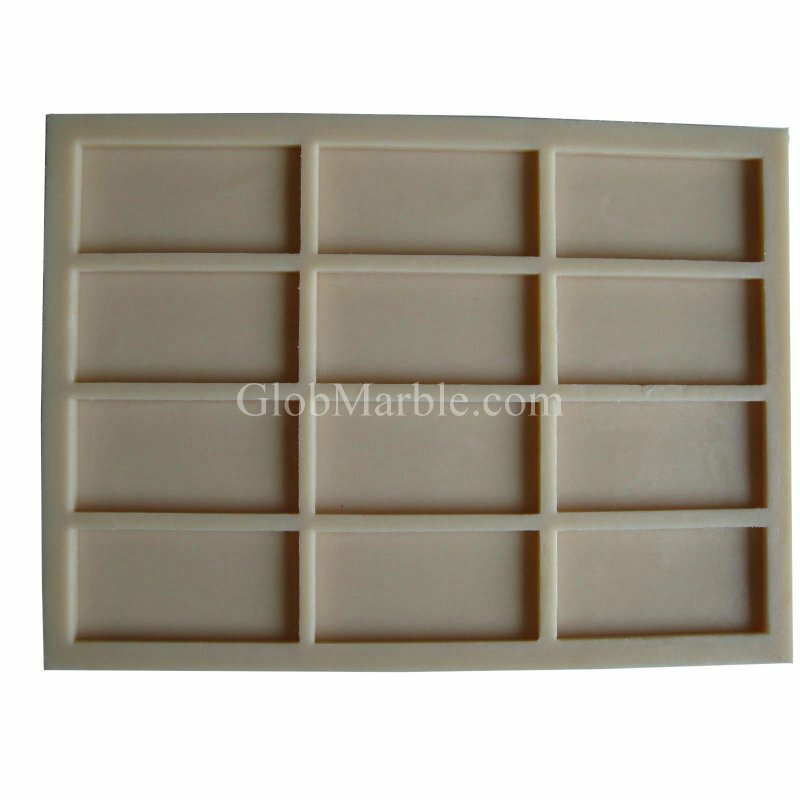 Brick Stone SS 5501	Mold size — 2.8 SQ.FT. (0.26m2) approximate. Measureme..
Mosaic Stone Mold MS 823 Rubber MoldsMold size — 2 SQ.FT. (0.18m2) approximate.Measurements..